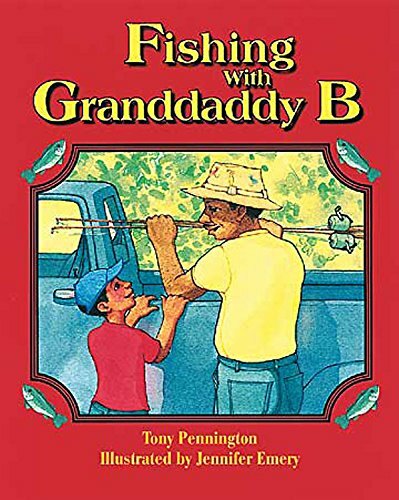 Fishing with Granddaddy B by Brand: Abingdon Press at Translate This Website. Hurry! Limited time offer. Offer valid only while supplies last. A six-year-old African American boy spends the day and night with his grandparents. The highlight of his visit is going fishing with his grandfather. A six-year-old African American boy spends the day and night with his grandparents. The highlight of his visit is going fishing with his grandfather. A gentle story of love that will develop both self-esteem and religious principles in children ages 6 to 12. View More In Religious Fiction. If you have any questions about this product by Brand: Abingdon Press, contact us by completing and submitting the form below. If you are looking for a specif part number, please include it with your message.